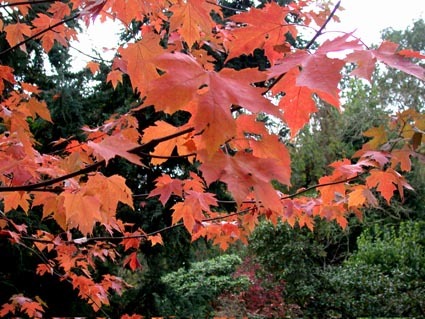 Acer freemanii is a hybrid between A. rubrum and A. saccharinum, both parents being North American natives. The original tree was selected and registered by Willet Wandell in central Illinois. 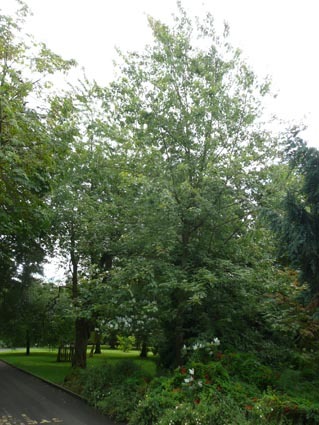 It makes a substantial tree up to 20m high, a narrow shape when young as in the Belfast Botanic Gardens, but more spreading as it ages. There are a number of different versions of this hybridization - other variations are Autumn Blaze, Celebration, Morgan and Marmo. These vary in final height, leaf shape and growth form. 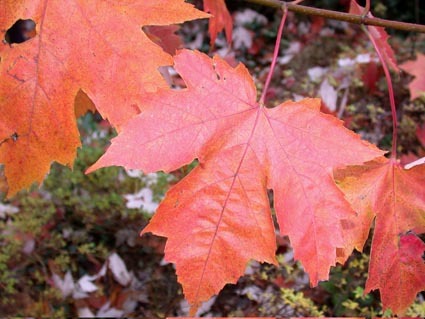 All have deeply cut leaves turning red or orange-red in autumn, small red flowers in spring and reddish young stems. Photos taken in Belfast Botanic Gardens in 2015 and 2016. 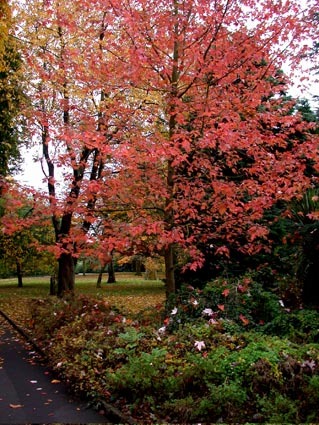 Copyright: Friends of Belfast Botanic Gardens.